Late last night, huge white flakes began falling from the sky. We sat and watched in the stillness of the night as a blanket unfolded over the green grass, with our first real snow of the season. The first snow always makes me nostalgic for the holidays to come. One of my fondest memories of the holiday season is the first year we spent together as a family. With hot cocoa in hand, we took to the woods in search of a Christmas tree. Finding just the right one, we loaded it onto our car and drove home. Trees always look smaller in nature, than they do in a tiny apartment, don't they? That tree was so wide, it took up half the floor space in our living room! 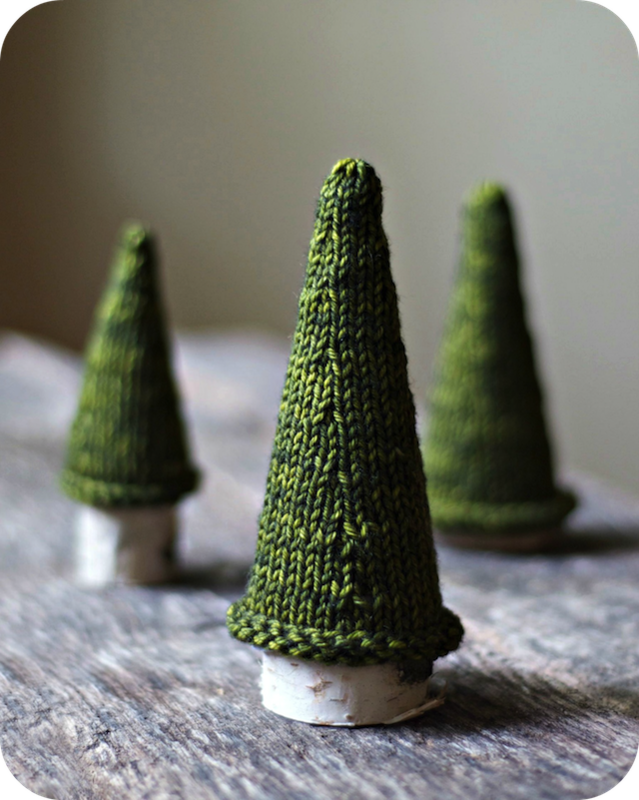 Inspired by our first Christmas together, I knit a wee woodland forest of Jack Pines. 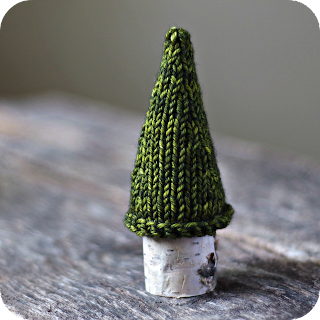 They're adorable sitting on our table, and with the largest being only seven inches tall, they don't take up quite as much room as our first tree.